Two-For-One Norwegian Cruise – Trolls? Norway? Fjords? Here’s a spectacular deal to get you there…. in adventurous coastal style. 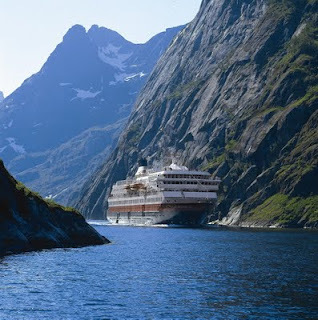 A Hurtigruten adventure cruise offers a temping upgrade free to the best available ocean view cabin when booking any category "L" cabin and above (no suites). Rates start at $770 per person, based on double occupancy, after discount –normally twice that amount. But you’ve got to hurry: this is good on most of the line’s sailing between Oct. 1 and Dec. 31, and, amazingly, the deal applies to Christmas and New Year’s as well (how rare is that?). Click here to learn more.